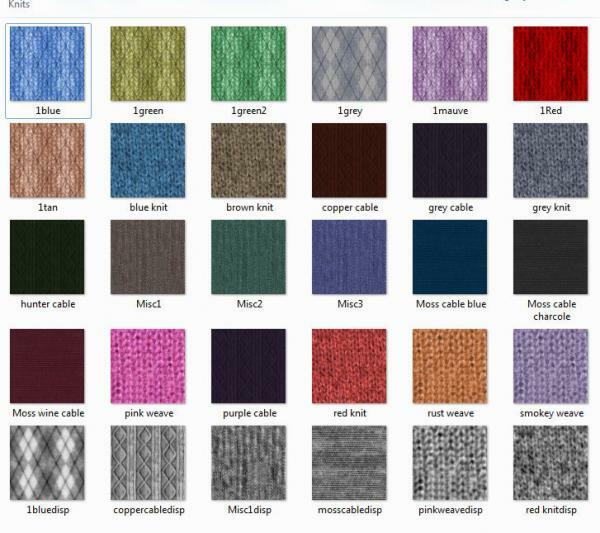 Knits, a few patterns in several colors, includng displacement maps which yoy will need to add manually if you wish to use them. kenzo7 (5 years ago) Inappropriate? Thanks. I've found it :) !!! barbult (7 years ago) Inappropriate? Thank you for these knits for fabricator. I see that you have included displacement maps, but they don't seem to be used when I select one of the knits in the Fabricator. Do I need to load the displacement map manually with the surfaces editor?